Having had a moment to sit down and reflect on my experience at the recent world championships in Helsinki, I have realized that it was not only one of the most difficult moments of my life, but also one of the strangest. I have never experienced so many shifts in perspective and flip-flops in my conviction in such a short time. Usually as a competition approaches, our focus and attention to technical details take on a laser-like precision. We dream and imagine all types of scenarios; skating perfectly and getting a standing ovation, making a mistake and having to cross our fingers for a great result. So far, all of my competition experiences have fallen within these imagined scenarios and usually with satisfying outcomes. This past competition was the first time I’d been thrown such a curveball and I honestly didn’t know if I was going to be able to make it through. The week before leaving I was dealing with a tight muscle in my abdomen. It was really more of a nuisance and didn’t cause me any problems while training. We arrived in Helsinki feeling ready and confident and the first day of practice was excellent. I felt we made a statement on that first practice that we were there to win. The next morning when I woke up I felt incredibly stiff and that the muscle was angry. But it wasn’t until I got on the ice that I noticed something was different. The muscles in and around my hip felt unresponsive, as if they had some freezing injected into them. After taking some deep breaths and seeing my massage therapist and physiotherapist, I managed to regain some positivity and to allow those alarming thoughts and emotions to subside. Maybe my muscles just needed time to warm up? The afternoon practice would be better, I was sure. As soon as I stepped on the ice for that second practice, I knew something was wrong and my mind began racing. I did my best to follow our usual plan but when it came time to do the triple Lutz — our signature element — my legs would fly apart in the air and I couldn’t complete the full rotation. This caused me to take some hard falls and people in the audience started to notice that something was amiss. What could my coaches tell me? This wasn’t a “push-through-the-pain” scenario. I didn’t feel any pain, only numbness and weakness. So many thoughts were going through my head and the strange part was; all of it took place out in the open, out on the ice, where the judges and fans were watching. I was imagining what everybody was thinking. I knew I couldn’t do this jump. It just wasn’t physically possible but I couldn’t think of an alternative. A wave of hopelessness swept over me. That night was one of the worst that I can remember. What was supposed to be a fight to win had become a fight to survive. All of my focus and confidence had evaporated and the doubt and fear had become so strong it literally made me feel dizzy. I couldn’t sleep, so I called Julie Marcotte, our choreographer. Julie is so in tune with us on many levels that I felt she could help guide me through this emotional minefield. I finally managed to calm down and get some sleep. The toe loop is an easier jump that takes off the left foot. My legs still felt flimsy in the air but I was able to land it. We quickly chose a pattern of how to set up the jump and fit it into the program, and then one minute later our music came on. We landed it in that run-through and all of a sudden I felt that competing later that night was actually going to be possible. Meagan really saved the day. She hadn’t even tried a triple toe since December but landed a perfect one in both the short and long programs. Doing that specific jump for Meagan was excruciating for her foot. That’s why we stopped doing it in the first place. But there wasn’t any other choice and she just made it happen. The next day after the practice for the long program, another wave of negativity overcame me. Every element in the long program felt incredibly difficult. I started to think the long program would be impossible. What if my hip just gave out in a lift? What if halfway through the program it became so numb I just had to stop? That was when I felt the most despair, and was ready to tell my team we had to withdraw. I got a text from our team leader and my coach saying we needed to have a meeting. I was already in tears when we started that meeting but everything changed in a moment. My coach simply asked me, “what would you do if this was the Olympics?” Right then it was clear to me that I would do the long program. If I was going to have a chance of making it through the long, the first thing I had to do was believe that I could actually do it. When I go back and watch the long, I think it was actually good for the circumstances. I feel proud of it. I found it funny to receive messages from people who felt sorry we ended up in seventh place because I considered it a miracle we even finished the competition. This is why I still feel lost; I’m proud of our perseverance but disappointed with the whole scenario. The most important lesson I’ve learned from skating is that you learn more from difficult times than from the easy ones. This competition did not turn out how I envisioned it would. 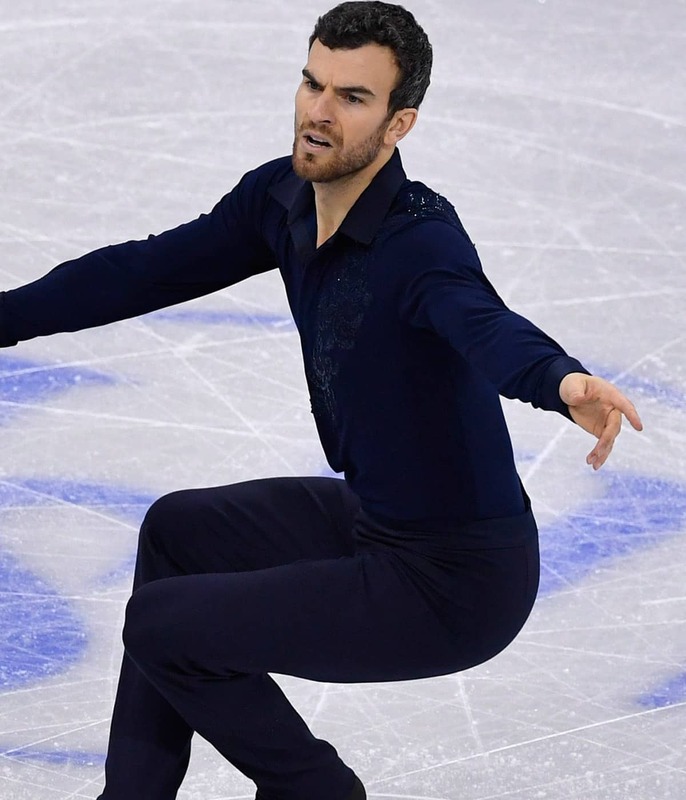 Eric Radford's life after skating. It was probably one of the worst experiences of my life. But I will take away a broadened perspective on many things. Meagan and I are not out of the game. We will still dream big and work hard as we head into the Olympic season, only now we’re armed with stronger conviction and the knowledge we can compete through anything.